The National Folklore Collection: Cnuasach Bhéaloideas Éireann, housed in University College Dublin, contains in the region of two million pages of written lore, more than 10,000 hours of sound recordings, some 70,000 photographs and images and a specialist library. This Collection is one of the most important cultural resources in Ireland, capturing our national narrative through the decades. The establishment of the Irish Folklore Commission in 1935 was a far-sighted move by the new Irish state in keeping with international initiatives at the time. The Commission oversaw a team of full-time and part-time collectors working to systematically record and document oral traditions, vernacular artefacts and customs, traditional music and song, along with beliefs and folk practices throughout Ireland. The vast and valuable body of work recorded and preserved by these collectors forms the core of the National Folklore Collection. 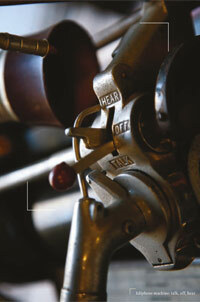 The material contained in the Collection gives us a glimpse into a way of life that, in many cases, is no more. It affords us the opportunity to hear the voices and gain an insight into the lives of ordinary Irish people. In a sense we have here our unwritten history. These stories are our stories. Folklore represents one of the key ways we comprehend the world around us. Belief, customs, pastimes, music, song, ritual and storytelling are some of the inherited traditions that help shape our understanding of our surroundings. From birth to death we invest significance in certain times and dates as we observe and mark changes in the seasons, celebrate or commemorate various events, seek to obtain luck or ward off evil. Folklore recounts where and how we live, how we entertain ourselves and what we believe and fear. Folklore recounts where and how we live, how we entertain ourselves and what we believe and fear. The Schools’ Manuscripts Collection of 1937-38 was a remarkable initiative that involved some 100,000 primary schoolchildren from more than 5,000 schools collecting lore and local history in their own districts, from neighbours, parents and grandparents. The children were encouraged to ask about local history and monuments; songs, games and pastimes; customs, folktales and legends; and traditional crafts and work practices. The National Folklore Collection now holds the hand-written copybooks of those schoolchildren from the late 1930s. Many people who contributed to the Schools’ Manuscripts Collection have visited and held in their hands their own childhood copybooks and thousands of others have visited the Collection to read and research the lore gathered by previous generations. This is just one of the tangible ways in which Irish people, both at home and among the diaspora, are facilitated by the Collection in connecting directly with their cultural inheritance. Maria Spilsbury Taylor (1776-1820), ‘Pattern at Glendalough’ c. 1816, oil on canvas 102 x 124 cm. 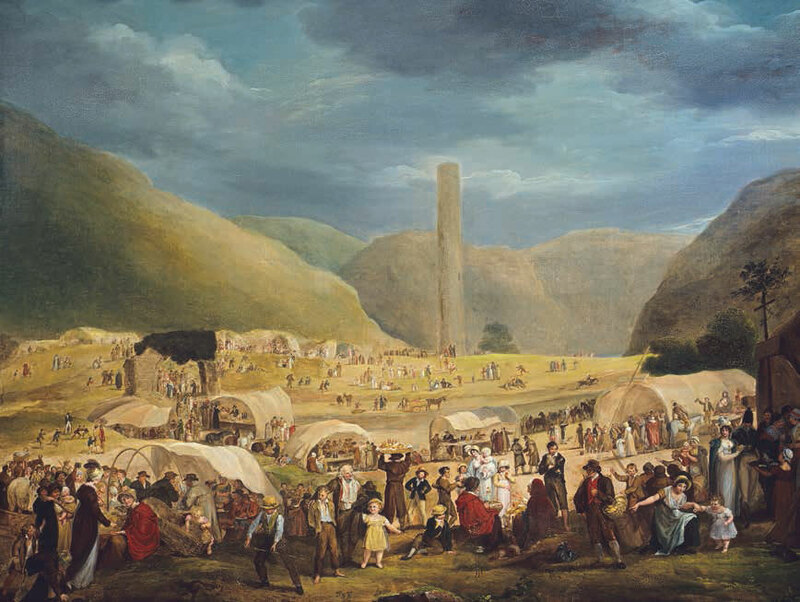 One of the paintings held by the National Folklore Collection. The remarkable energy and creativity exhibited in much Irish folk narrative and belief reflect a longstanding tradition of imaginative engagement with the natural world that surrounds us and with aspects of that other world of ghosts, banshees, fairies and spirits. Wit and humour, including the ability to poke fun at politicians or authority figures, are important in Irish folk tradition and through the collected lore of the people we can gain an increased insight into, and a deeper understanding of, our past. Much of the National Folklore Collection, therefore, continues to serve as a source of inspiration to many. Musicians and singers, in particular, access recordings and transcriptions and, learning from them, offer new perspectives on painstakingly preserved material. Ireland’s rich tradition is constantly regenerated in such encounters. At harvest time, a plait was made from the last standing stalks of corn, before being reaped and brought home to hang above a door as a protective symbol. This practice was known in Armagh as ‘cutting the cailleach’, cailleach being the Irish word for hag. Dromintee, Slieve Gullion, County Armagh, 1930s. The wealth of material in the Collection represents an important strand of our national memory. In it we encounter echoes of the voices of people who otherwise might have remained unheard and undocumented. In the Collection we find stories, descriptions, images and sounds from the women, men and children, both urban and rural, who shaped the society we live in. 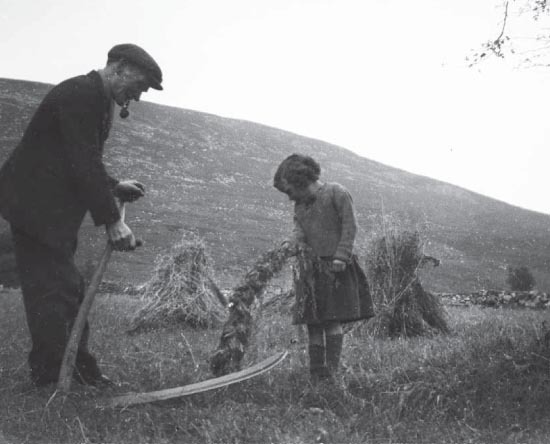 Since its inception, the National Folklore Collection has overseen the documentation, preservation and dissemination of the various strands of folk culture that represent Ireland’s memory. Now the National Folklore Foundation: Fondúireacht Bhéaloideas Éireann has been established to ensure that the work of the National Folklore Collection can continue and be made accessible to all. 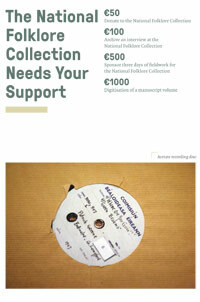 Your support will assist us in Collecting, Preserving and Sharing. 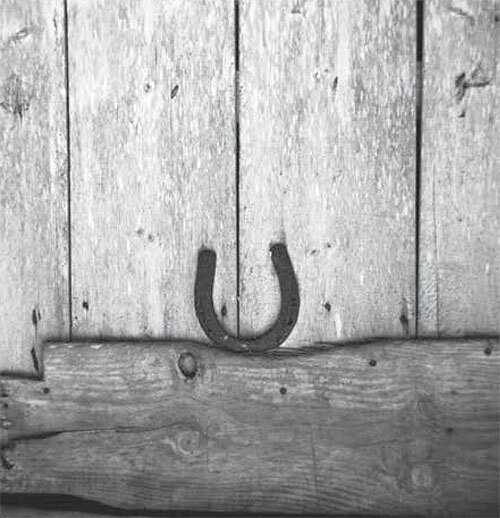 Horseshoe on door, Claoideach, Gleann na Ruachtaí, County Kerry, 1946. Help Support the work of the NFF in perserving Irelands’s past by making a donation using the paypal button or by downloading our support form.